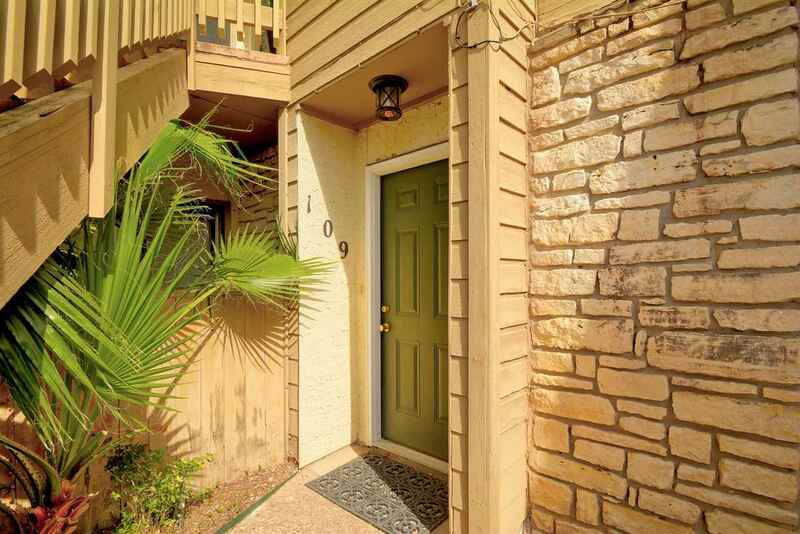 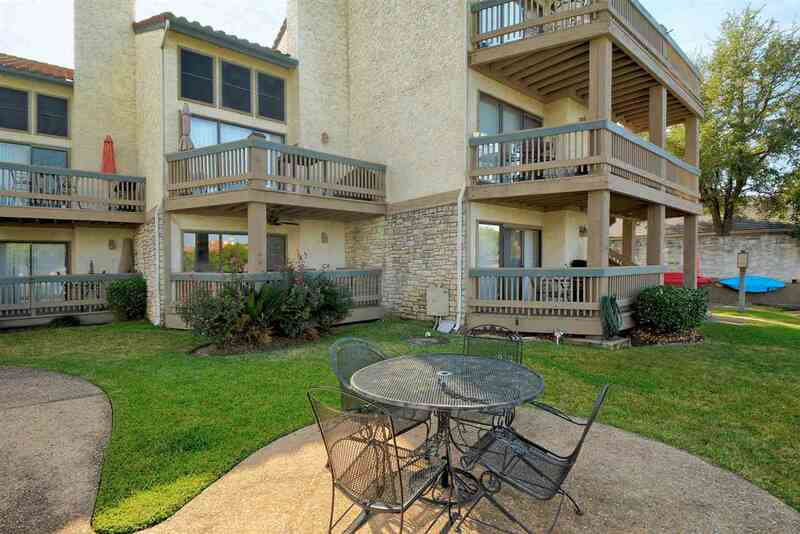 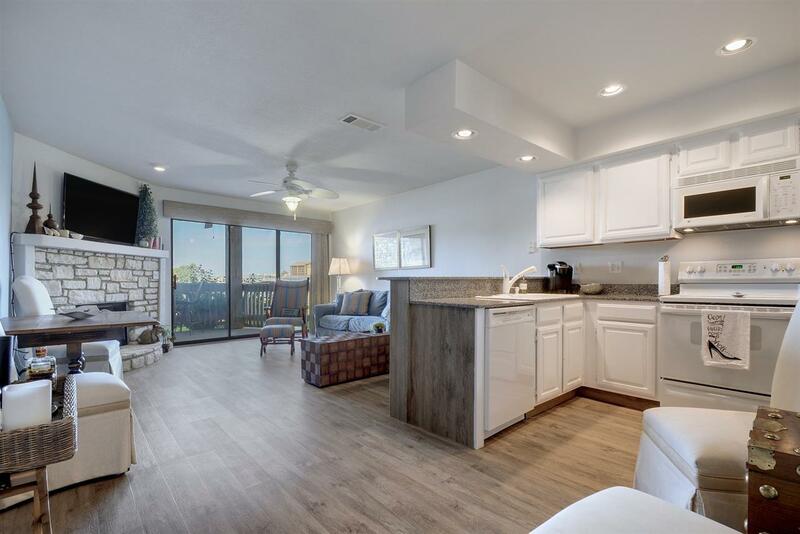 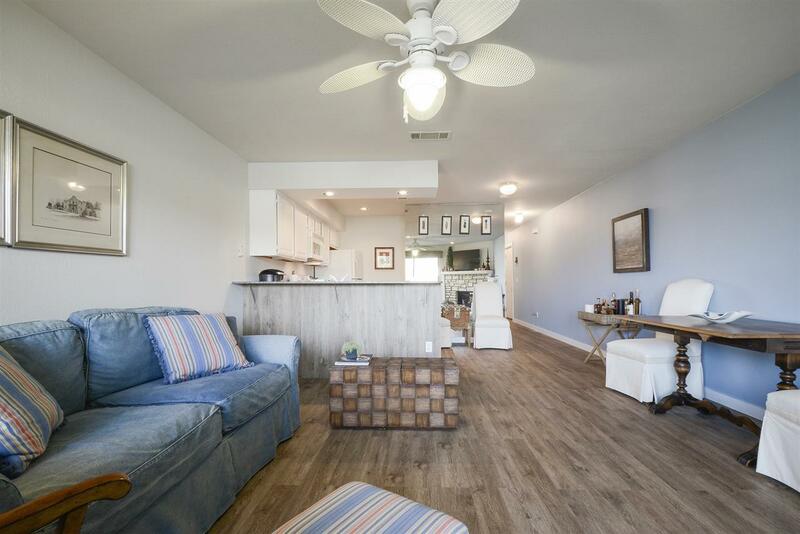 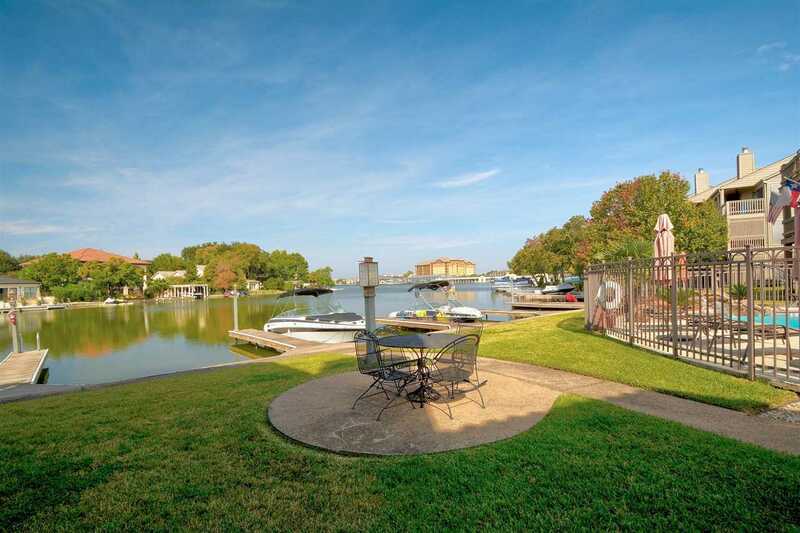 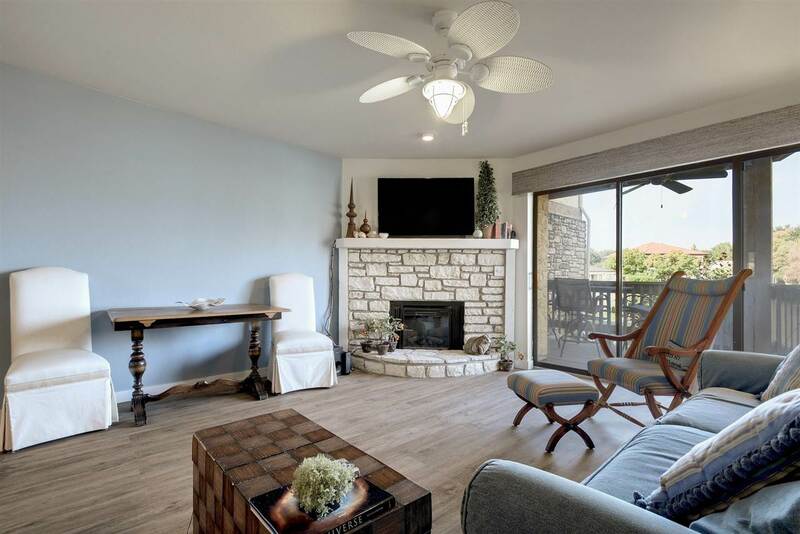 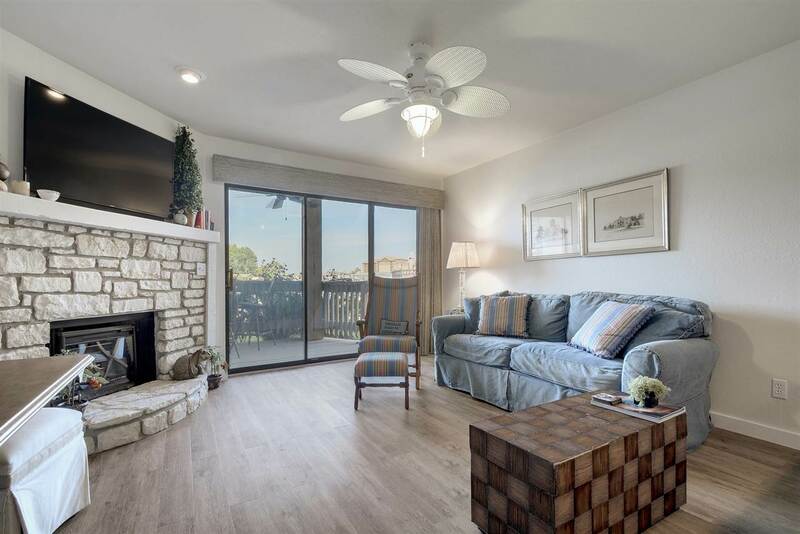 Rare first-floor, one story, Lake LBJ waterfront condo. 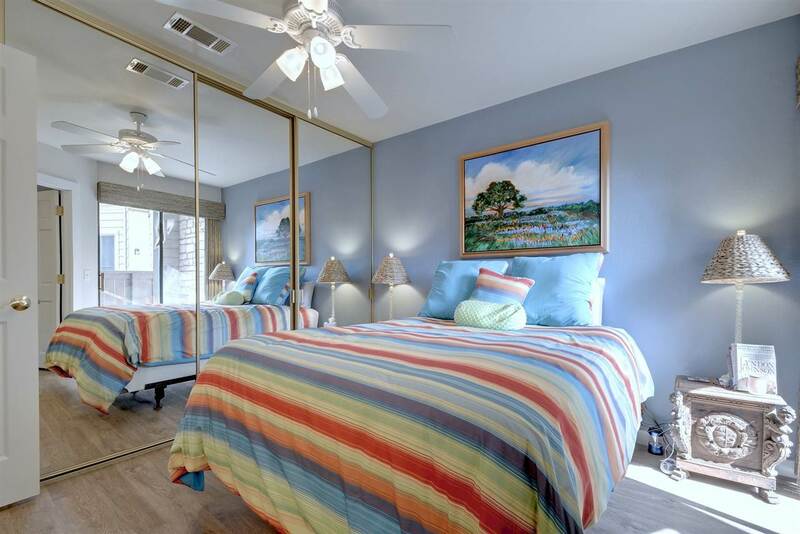 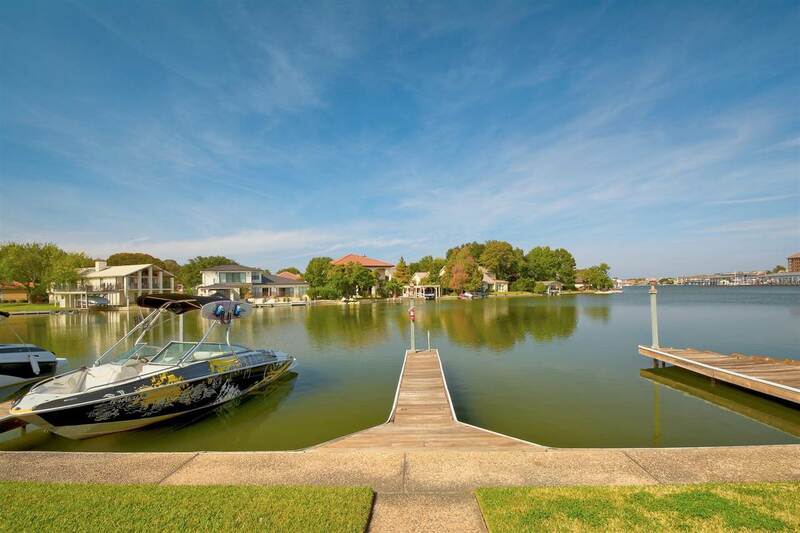 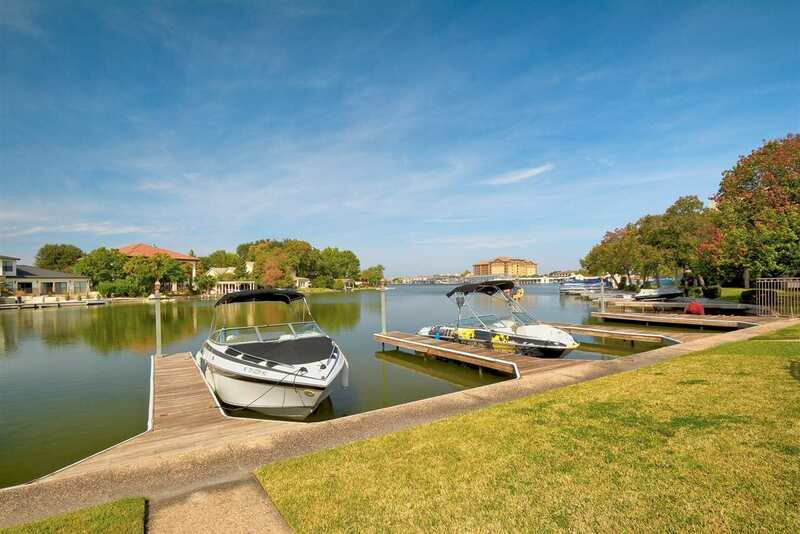 Unlike most waterfront condos in Horseshoe Bay, you are just a few steps to the lake where you can park your boat or jet ski at the convenient day docks. 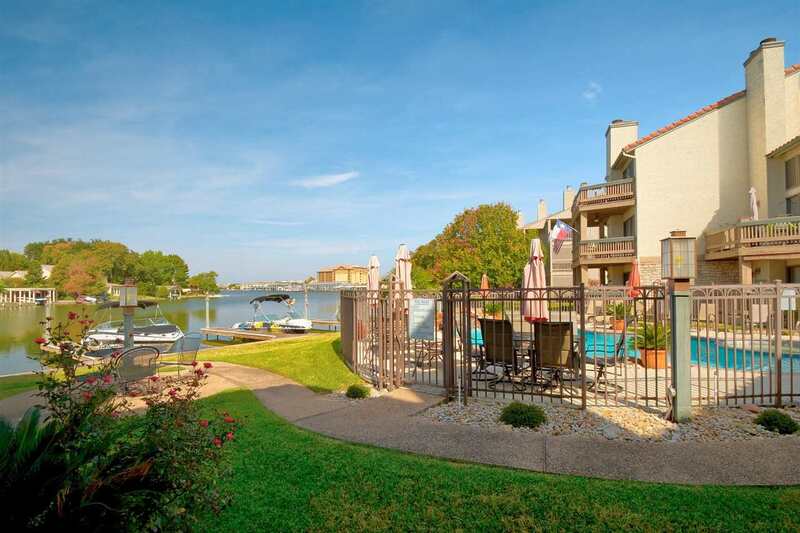 Relax on the back patio while enjoying the open water views. 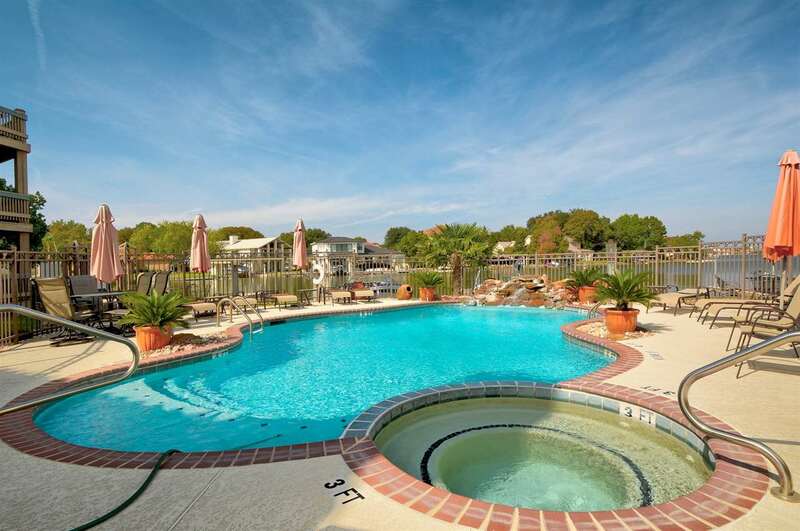 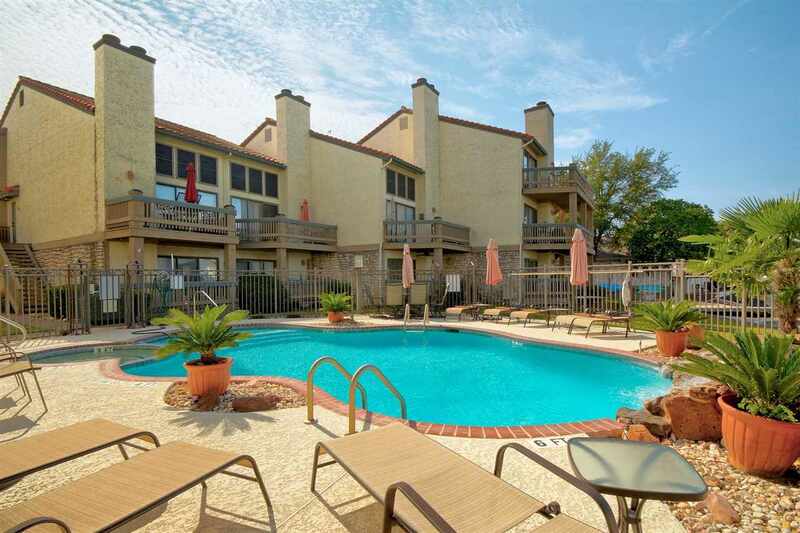 Also steps away from the back patio is the community pool and hot tub. 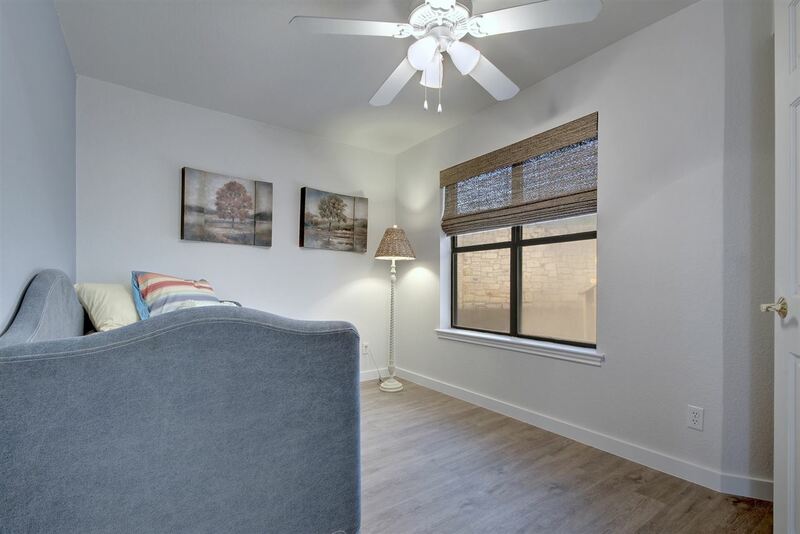 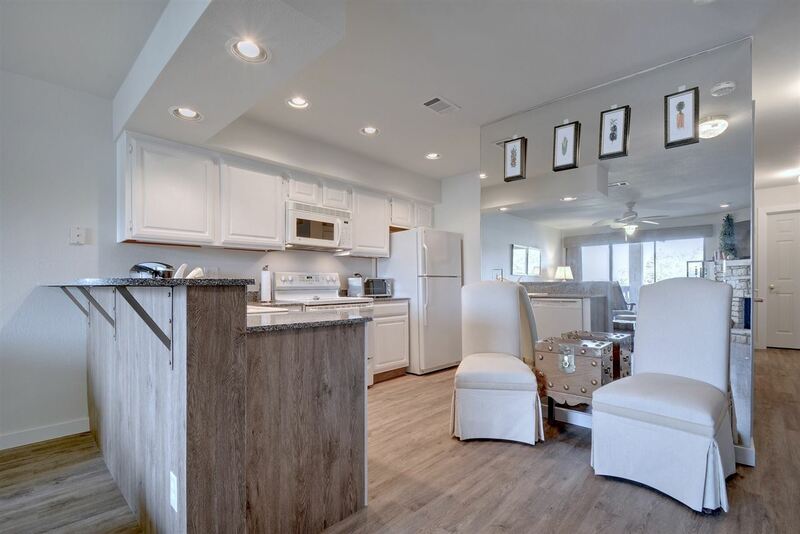 Inside you will find an elegantly updated living space with new synthetic wood floors, new paint, new window coverings, new front door and casing, beautiful brick fireplace, mirrored wall and kitchen with granite counter tops. 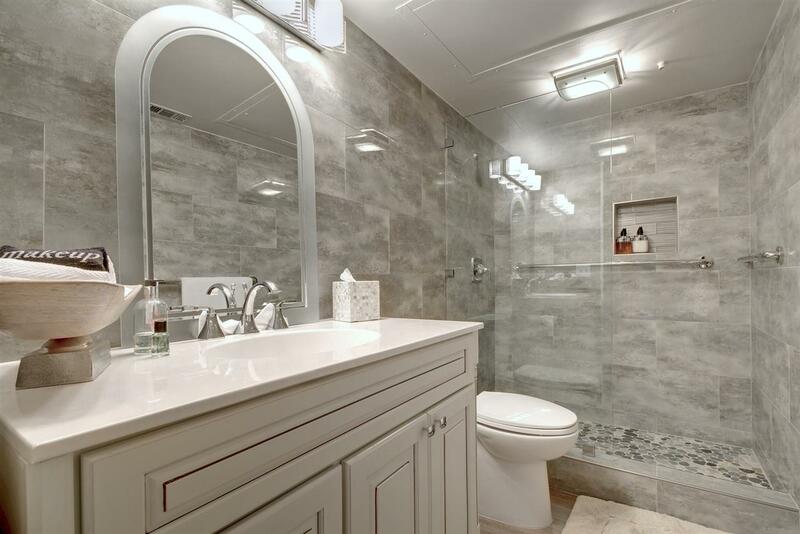 In this 2017 renovation, the bath was also updated with a gorgeous quartz counter top, custom cabinetry and large shower with river-rock floor. 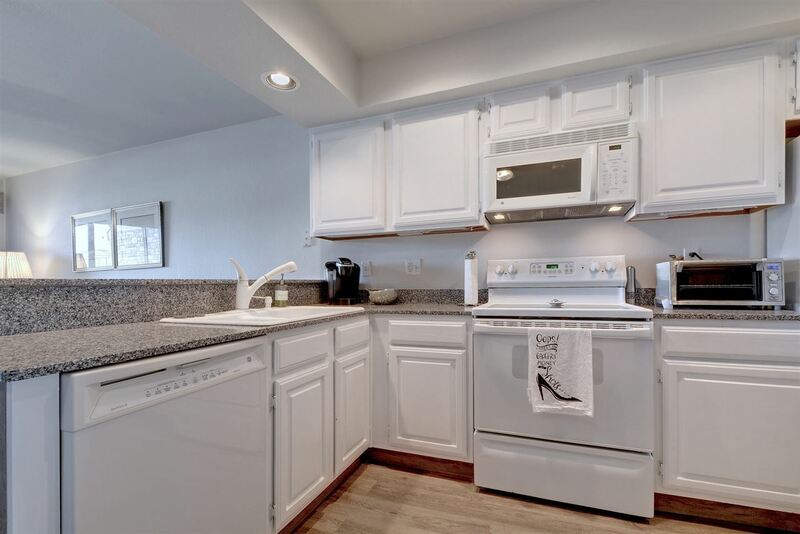 Appliances have also been updated with a 2-ton AC unit in 2012, stack washer and dryer in 2012 and water heater in 2014. 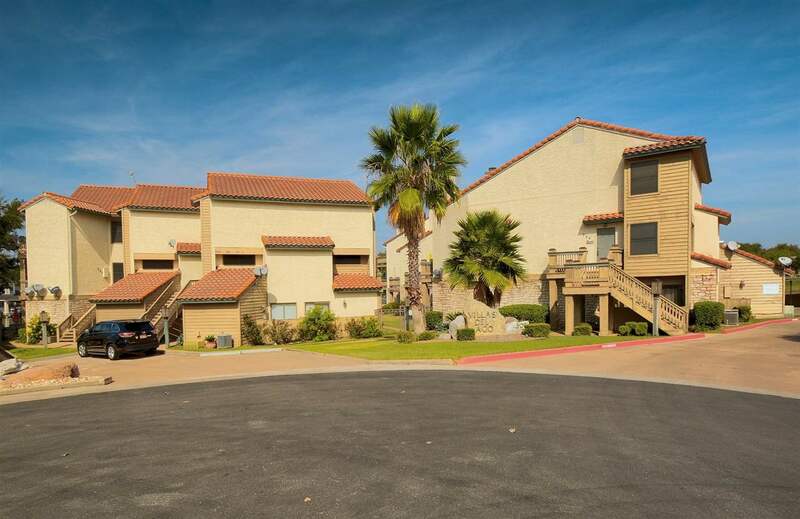 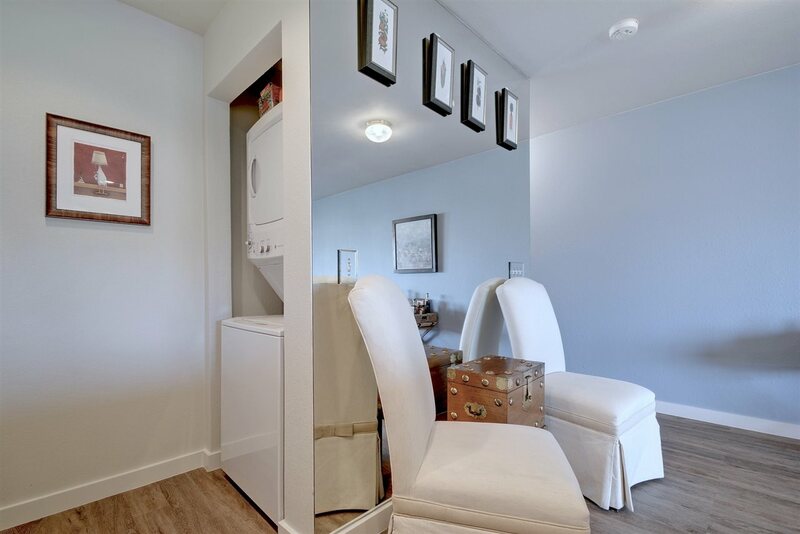 This condo is located within walking distance to the Horseshoe Bay Resort amenities and has a 1 car reserved covered parking space. 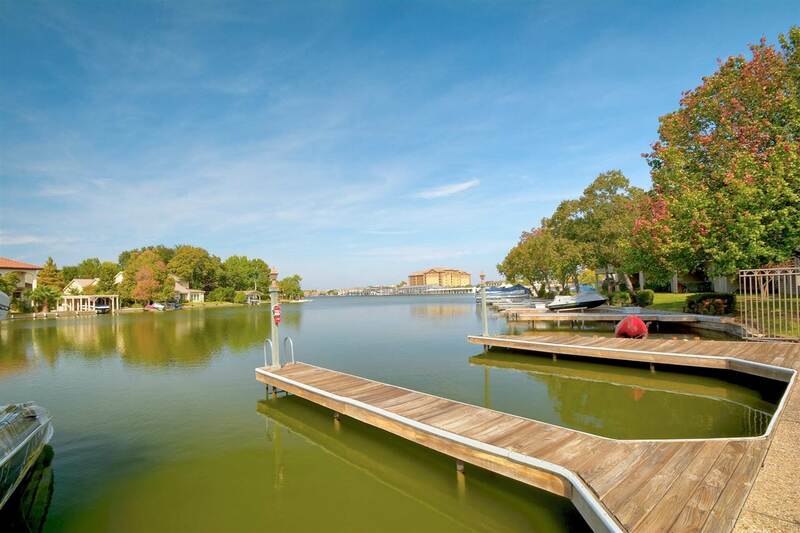 The boat docks are first-come, first serve with no fee. 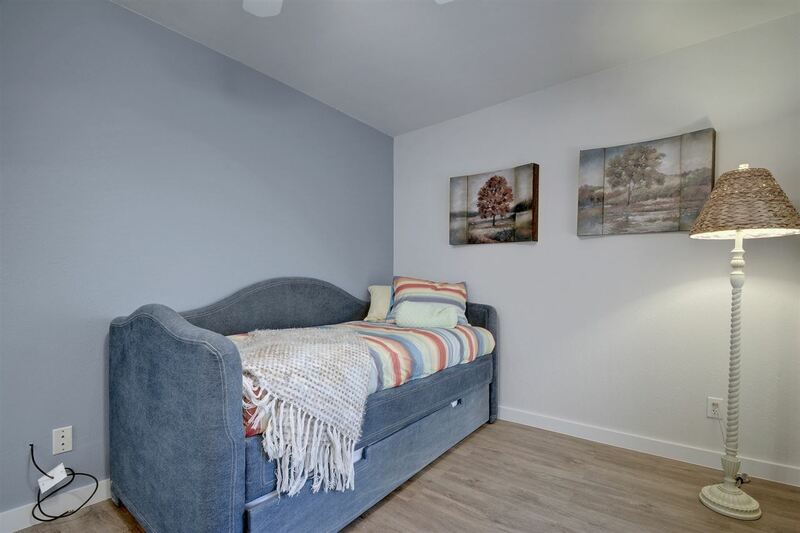 Designed for when you are in residence, maximum days allowed are 14. 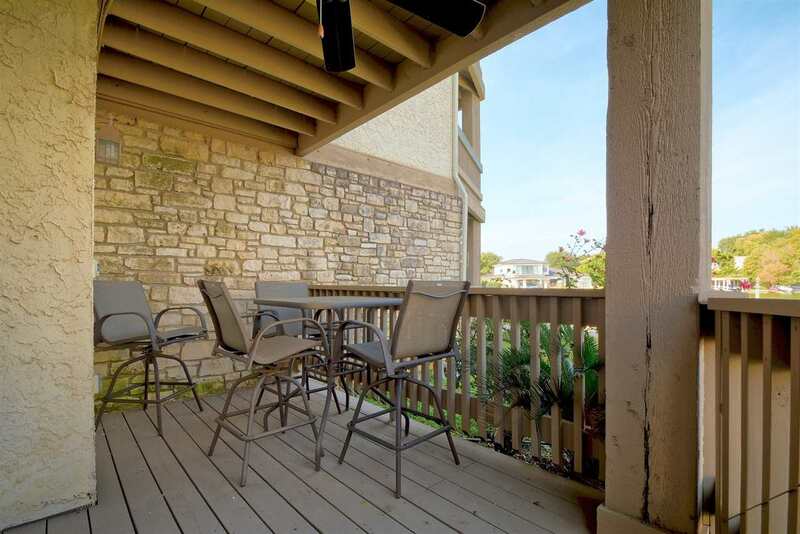 PWC ramps are for rent and have no maximum day restriction. 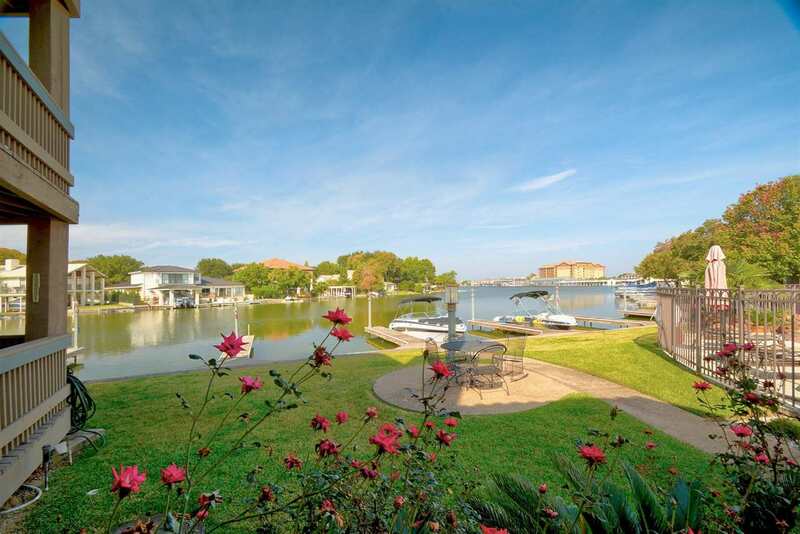 Horseshoe Bay Marina is within walking distance and rent slips for more permanent storage. 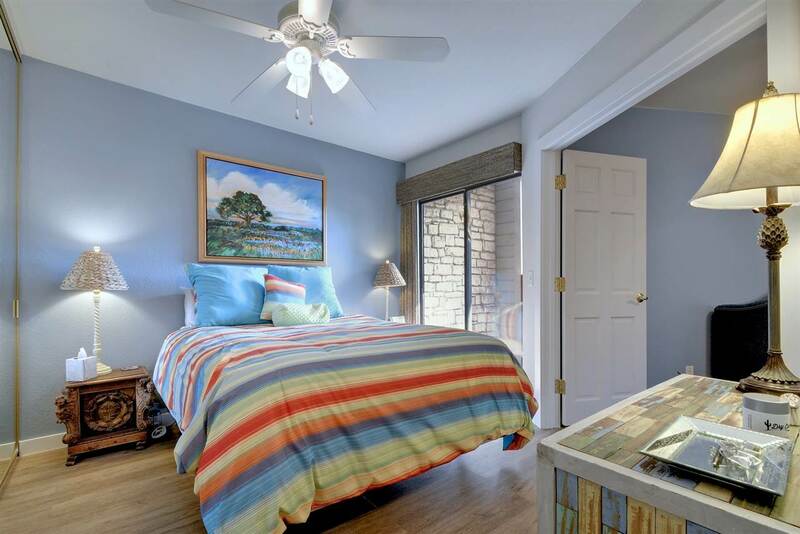 Hill Country Real Estate is associated with Perri Mancil of Joe Bruns Realty in Marble Falls, Texas. 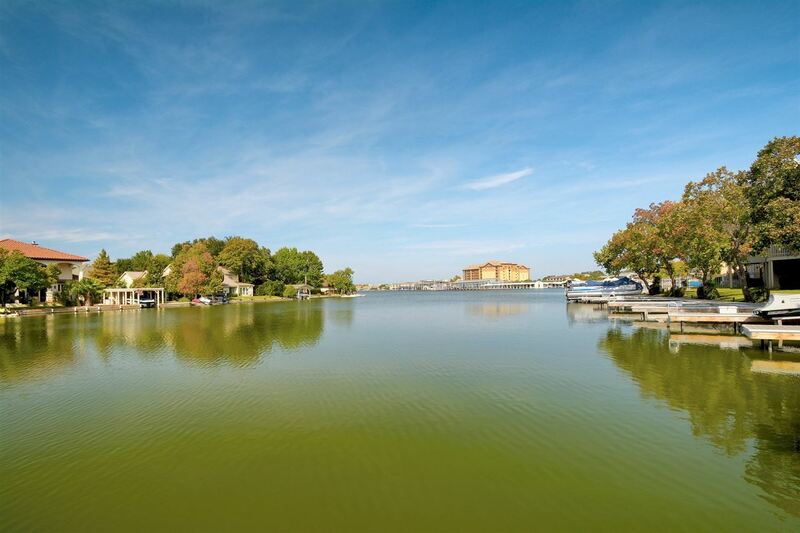 Perry specializes in representing clients in the purchase and sale of single-family residences and income property within Marble Falls.